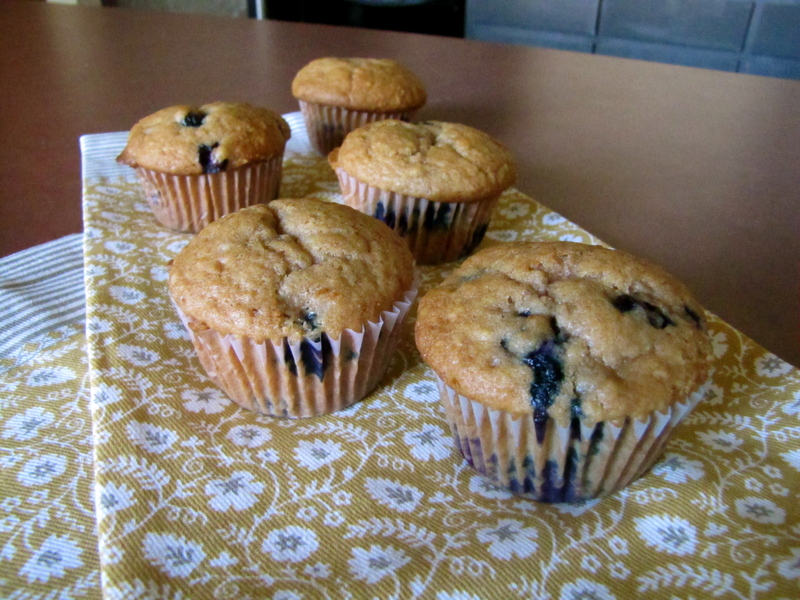 Blueberry Coconut Muffins – Voila! This week James’ grandparents flew to Hawaii to celebrate their 55th (!!) wedding anniversary! To get that Aloha! mood started, I made these delightfully moist muffins for them for their plane ride. Luckily, we got to keep a few for ourselves! 1. Beat together butter and sugar until light and fluffy. Beat in eggs, one at a time. 2. Beat in cream and vanilla, then add flour, baking powder, baking soda, salt, and cinnamon on low speed until just combined. 3. Stir in coconut and gently fold in blueberries. Spoon batter into cups and smooth tops. 4. Bake on middle rack of oven until a tester inserted comes out clean and edges are golden brown, about 20 minutes. Makes 12 Muffins. Voila! Or should I say…Aloha! Previous Post Local Veggie Omelette Scramble Surprise (Video)! I love this blueberry coconut muffins!